I treated myself to some new stationary to help organise my admin. It’s wonderful. My desk has looked like this for weeks now. I can find things. 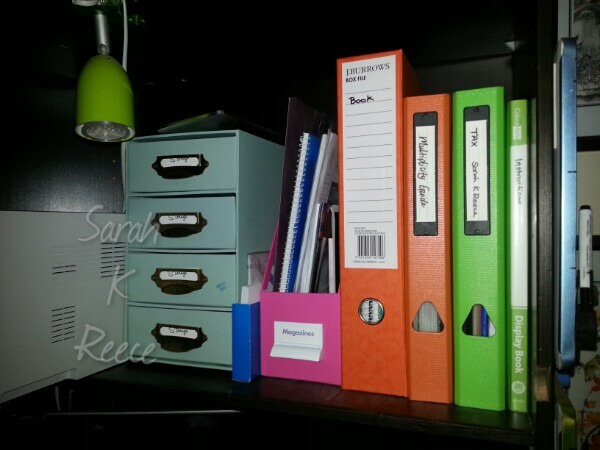 I have folders with tabs and colour codes for different information. I picked up most of these as slightly damaged seconds. Love the rainbow of colours! Clearer working spave and clearer thinking are working together to help me zoom through admin and make sense of complicated paperwork with a minimum of stress. I’m grateful! Will buy a few more folders and magazine boxes when I next can. I’m managing it all at last (except the ongoing debt saga). I’m finding my feet with it. So pretty. 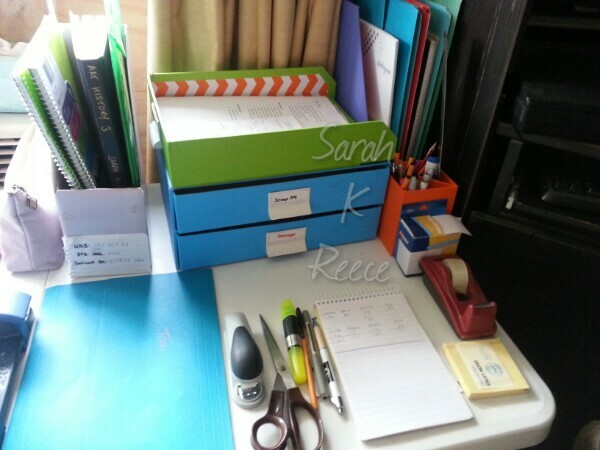 Stationary is awesome. Officeworks is my kryptonite.